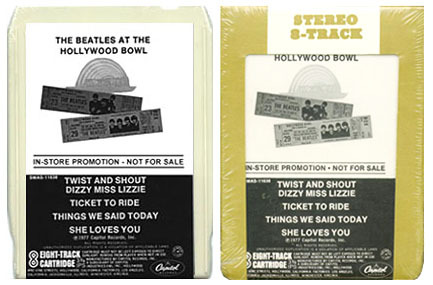 In 1977 Capitol Records issued this 8-track promotional tape for the Hollywood Bowl album (SMAS-11638). 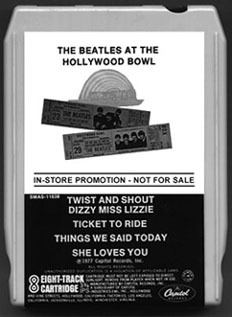 The In-Store Promotion tape featured 5 songs from the album, and is the only promotional 8-track ever issued of Beatles material.  No promo cassettes or promo LPs were ever issued of the album. Click on picture to see color photo and sealed copy.